IMCDb.org: 1955 Chevrolet Two-Ten in "Route 66, 1960-1964"
Is there a shot, a few frames later, which might give a clue to the trim level and the number of doors? I supect it is a 210 4 door wagon - a Beauville maybe? 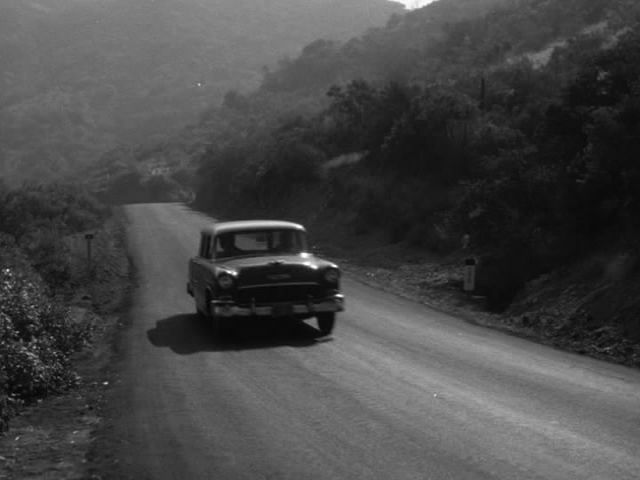 The only other shot shows the car going by in a blur (ignoring a hitchhiker), but we can tell it's definitely a four door.